Celebrate summer with specialties featuring produce from local gardens, farms, and orchards. 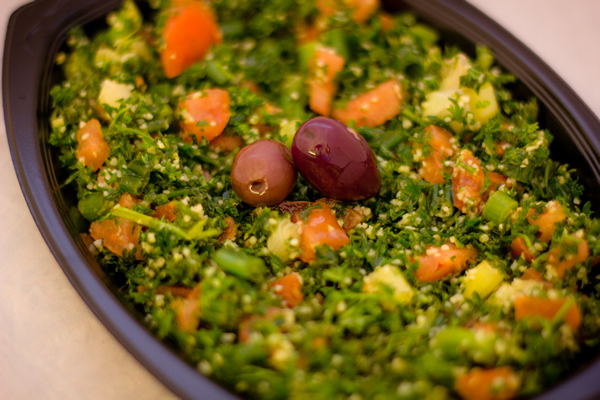 Where else can you try Iraqi tabouli, Cambodian papaya salad, two American veggie salads, Greek baba ganoush, a French-inspired smoothie, an Italian fruit parfait, and more, all in one meal? Friday, August 8, 2014, 5 to 8 p.m.
*The items are gluten-free, as reported by the restaurant owners/managers. Kids and Cultures/Taste the World is not responsible for the ingredients or preparation of the servings you will receive as part of this event. Participants can enter to win a gift certificate to Willie James Soul Food at Downtown or Seasons Olive Oil and Vinegar Taproom. You will receive an updated map with your passport ticket, so you do not need to print out this one.